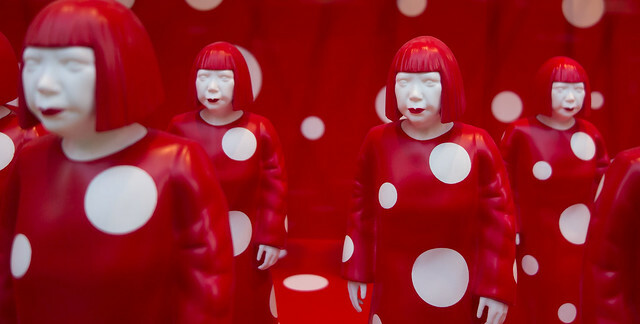 The new MALBA exhibit, featuring renowned Japanese artist Yayoi Kusama’s work, kicks off this weekend promising a full house of art enthusiasts. The artist, who is known for her ethereal light installations, sculptures, paintings a videos and more, is one of the most famous to come out of the New York avant-garde movement, and for good reason. Her works deal with autobiographical, psychological, and sexual themes, and presents a unique world of color and infinite lights, influences by minimal, surrealist, expressionist and pop art. The exhibit opens to the general public on Sunday and will showcase over 100 works from the 50’s to the present day. It will run throughout winter until the 16th of September. Figueroa Alcorta 3415, Palermo. 4808-6500. This entry was posted in Art, Buenos Aires Agenda by Fierro Hotel Staff. Bookmark the permalink.